Private Taxi tours from Southampton Cruise Ships for up to 4 passengers. Whether you would like a day trip or you're on the way to the airport and you don't fancy a coach tour then why not have your very own car to take you where you want to go and stay as long as you want. Perhaps you would like to visit Stonehenge or you would like a game of golf at Salisbury's championship course. Itineraries can be tailor made to suit your time on shore. Stonehenge is a world renowned stone circle sitting in the rolling chalkland countryside of Salisbury Plain. The surrounding area has archaeological monuments such as the Cursus, the Avenue, and numerous Barrows or burial mounds. Stonehenge was declared a World Heritage Site in 1986. 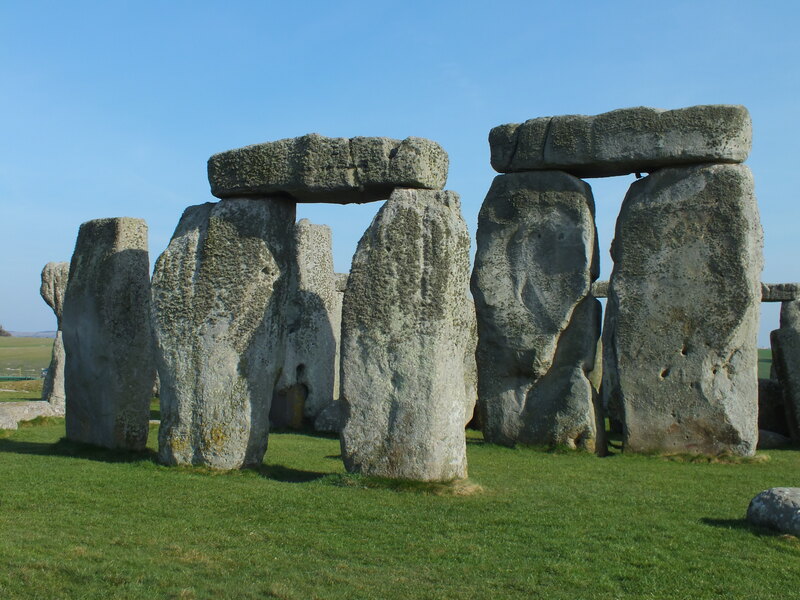 The stones themselves are magnificent and a testament to the engineering prowess of our ancestors. Stonehenge was built over 4500 years ago and has, over time, become the subject of many myths and legends. The original city of Salisbury - Old Sarum - was situated on an old Iron age hillfort to the north of the city. A cathedral and castle were built on the hilltop following the Norman Conquest in 1066. Relations between the castle authorities and the clergy were uneasy and by 1200, the Bishop made the decision to move. It took another 20 years to obtain permission from both the King and the Pope to allow a new cathedral to be built. Legend has it that the site was chosen by where an arrow fired from Old Sarum landed in the meadows below - a distance of some 1 ¾ miles! Work on the new building started in 1220 and it was consecrated in 1258. In the early 1300's a spire was added which at 404 feet high is the tallest in England. 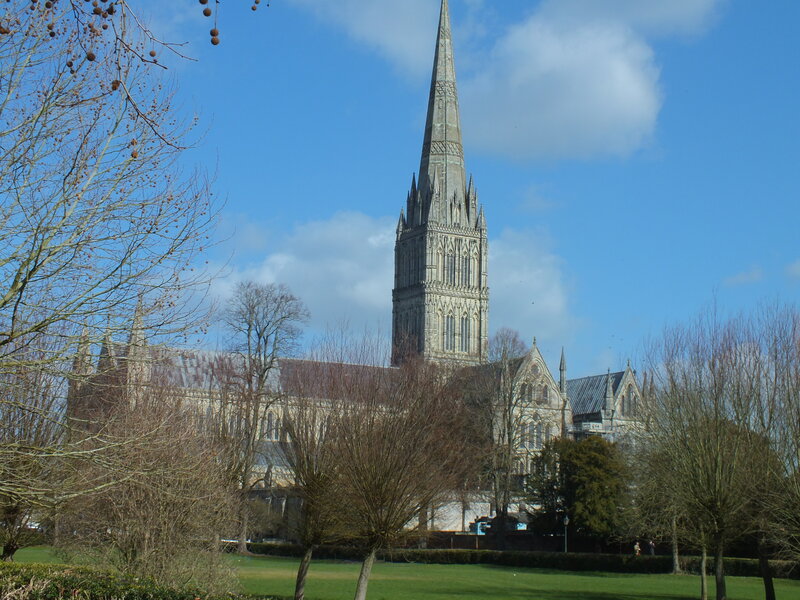 Salisbury Cathedral is surrounded by the Close and both are set in the picturesque Harnham water meadows. The whole idyllic setting has inspired artists, most notably, John Constable to paint the scene which can now be seen in the National Gallery in London. Inside you'll be able to see one of the four remaining copies of the Magna Carta signed by King John in 1215,and the oldest working mechanical clock in the world. The light airy space inside remains one of the most magnificent sights to be found in any cathedral. High above Salisbury lies Old Sarum the site of the original town. Originally an Iron Age hill fort which was then occupied in succession by the Romans, Saxons, and the Normans before being abandoned in favour of New Sarum, or as we know it today Salisbury. It is a highpoint in the local landscape and was probably used as a sighting point by the Romans as at least five of their roads converge on it. When Bishop Poore and the clergy started to relocate the cathedral in 1220 the rest of the town soon followed. By the mid 1500's there was not one house left standing as most of the building materials had been taken away for use in Salisbury. There are many examples of carved and decorated stone from the original cathedral to be seen in the wall of the Close which surrounds Salisbury Cathedral. There are the remains of some of the stonework from the castle and the outline of the old cathedral can still be clearly seen. The ditches remain a splendid sight as are the fine views of Salisbury and its cathedral in the meadows below.